Shares of smallcap companies continue to be under pressure with the S&P BSE Smallcap index falling for the sixth straight trading day on the BSE. At 10:43 am; the S&P BSE Smallcap index </a>was down 1.7% at 16,340, as compared to 0.89% decline in the S&P BSE Midcap and 0.27% fall in the S&P BSE Sensex. In past six trading days, the smallcap index slipped 6% against a 3% decline in midcap and 1% fall in the benchmark index. Thus far in the calendar year 2018 (CY18), the smallcap index tanked 15% as compared to 12% fall in the midcap index. However, the benchmark Sensex was up 2.6% so far in the current calendar year. In past four years between January 2014 and December 2017, the smallcap index had rallied 193%, while there was 166% surge in midcap and 61% gain in Sensex. Out of 859 stocks from the smallcap index, more than half or 577 stocks have underperformed the index by falling more than 15% thus far in CY18. Of these 577 scrips 67 stocks have seen their market values more than halved. 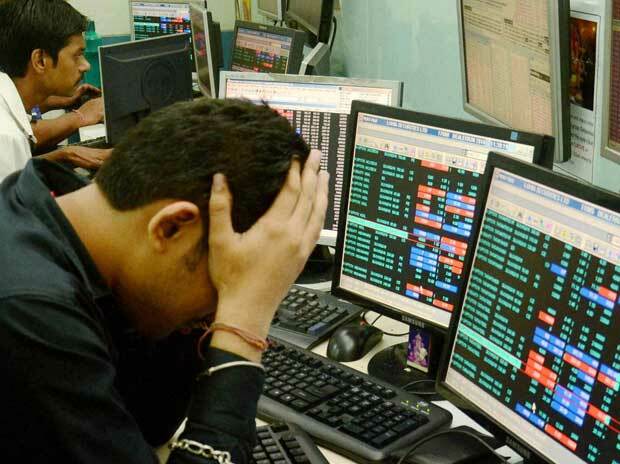 Gitanjali Gems, Bombay Rayon Fashions, Diamond Power Infrastructure, Jaypee Infratech, GTL Infrastructure, IVRCL, PC Jeweller, Reliance Naval and Engineering and KSK Energy Ventures have plunged between 70% and 90%. Atlanta (down 61%) and Manpasand Beverages (down 58%) too slipped an over 50% thus far in CY18. Last month, both these companies informed the stock exchanges that the auditors of companies put their resignations due to lack of information provided by the company for the purposes of audit of the financial results. Deep Industries was trading 8% lower at Rs 98, extending its past two days 27% fall on the BSE, the oil exploration and production firm said the CBI has booked 13 senior serving and retired officials of the ONGC, Rajahmundry and the company, based on complaint filed by Vigilance department of ONGC. Thus far in CY18, shares of Deep Industries tanked 52% from Rs 206 as on December 29, 2017. Shares of shrimp exporters such as Avanti Feeds, Waterbase and Apex Frozen have fallen in the range of 43% to 52% so far in CY18 on concerns of decline in exports in the current financial year 2018-19 (FY19) due to prevailing un-favourable conditions. “In the current year (2018) till now, the shrimp export prices have been declining significantly and the farm gate prices of raw shrimps have also dipped, dampening the expectations of a growth rate of above 15% in production, in the current year. However, since the prices are expected to go up in near future, the growth may be expected at around 5 - 10%, in the current year,” Avanti Feeds said while announcing Q4FY18 results. Waterbase said input prices for shrimp feed which remained soft for large part of 2017 have started firming up since the beginning of 2018, the ability of feed producers to pass on price inflation is limited due to heightened competitive intensity and depressed farm gate prices of shrimps. Moderate increase in global shrimp production coupled with increased inventory in US has adversely impacted the farm gate prices during the past few months. While the first crop for farming season 2018 is in progress, sustained weakness in farm gate prices may impact farmer sentiment. However we remain cautiously optimistic and expect the farmgate prices to improve in H2 of FY19, it added. LTP : :Latest price on BSE in Rs at 10:43 am.